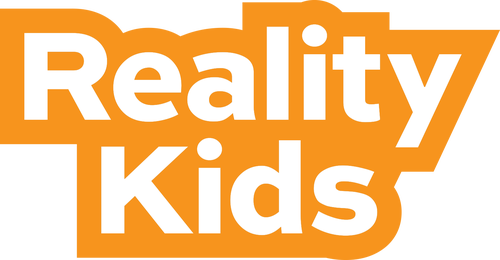 Reality Kids is a fun, meaningful, and dynamic environment for children ages Birth through 4th Grade. Every Sunday during all three service times children experience age-appropriate environments where the Bible is taught and friends are made. Reality Kids is based on four foundational truths. Anything we do without Christ is not doing our best. Do I need to check my child in? Yes. If this is your first time visiting Reality Kids please stop by the New Family Check-in desk and someone from our staff will assist you. Once your family is in our database check in is quick and easy. Every week at Reality Kids Check-in, your family is assigned a random, three-digit alpha-numeric code that is on the Reality Kids name tag and your parent security tag. You will need your parent tag to pickup your child after service. During services our Children's wing is secured and can only be accessed by our staff. Our Nursery through Five-Year Old classrooms are also equipped with security cameras that you can check in on them via tablet with our host at the Reality Kids Check-in. All of our volunteers have been interviewed, trained and screened for background checks through multiple databases through SecureSearch. We take the safety of your child seriously! How will I be notified if my child needs me? Upon checking in your child, you will be given an option to enter a mobile telephone number. This number can be a saved number for either parents or you can enter a new number (if a grandparent is checking them in for example). During the service, if your assistance is needed, you will receive a text notification asking you to return to the Check In Area. We believe that every child and every family is a FIT at Reality Church.